In an ideal world, you would never suffer from lost sleep. You would get at least 7-8 hours of quality sleep each night. In addition, you would go to bed at the same time each night (including weekends) and wake up at the same time each morning (including weekends). Unfortunately, our modern world makes it virtually impossible for most people to follow a sleep schedule that is this consistent. Work can often get in the way. For example, your career might occasionally require odd hours, busy stretches of year, or late nights. Your personal life can also present some challenges. For example, social obligations or travel might throw off your schedule at times. Or, maybe you have a significant other or some young children with erratic sleeping habits. Lost sleep leads to many problems. Some of them are immediate, while others appear down the road. In the short-term, insufficient sleep causes fatigue, irritability, and difficulty concentrating. Over the long-term, poor sleep throws off your body’s hormones, your metabolism, and your circadian rhythms. Over time, this can lead to weight gain, cognitive decline, diabetes, various cancers, and even early death. While many people think of their sleep like a bank account, it is unfortunately not that simple. You cannot catch up on lost sleep by sleeping more on another night. Studies have even demonstrated that it can take four nights of optimal sleep to make up for just one hour of lost sleep. Trying to use the weekends to make up for lost sleep during the week is unfortunately not a great solution. “You might be getting some alertness benefits by sleeping longer on the weekends, but as far as truly making up for the lost sleep during the week, you really can’t make up for it hour by hour,” says Dr. Cathy Goldstein, an associate professor with the University of Michigan Sleep Disorders Center. When you miss out on sleep, be even more deliberate with how you hydrate and fuel yourself the next day. Unfortunately, most sleep-deprived people do the exact opposite. What about you? How often do you try to energize yourself artificially with sugary products, “energy drinks,” and other caffeinated beverages? These band-aids don’t fix the problem. They just lead to irritability and anxiety, and they also make it harder to get quality sleep the following night. Even worse, they can lead to significant health problems when consumed in excess. Studies have also found a connection between sleep deprivation and dehydration. Therefore, you want to drink even more water after a poor night of sleep. Avoid alcohol, and drink more water throughout the day. Naps are another way to boost your energy naturally after a poor night of sleep. If your schedule and work environment allows for it, consider taking a short nap. It can help you feel more refreshed after a night of insufficient rest. Just be sure to keep naps to 20 minutes or less. Duration matters. Longer naps require waking up from a deeper sleep, so they can lead to grogginess. They can also throw off your sleep for the following night. Timing is also important. Naps in the afternoon or evening will work against you. If you decide to nap, do it before 2:00 p.m. Napping after that time can lead to sleep problems that night. Take short breaks to move during the day. Getting some light physical activity every 60 minutes (or more often) is always a good idea during the day. This practice becomes even more important after a night when you didn’t sleep well. You don’t need to do anything too intense. In one study, researchers at the University of Georgia found that ten minutes of low-intensity activity could make participants feel more energized than consuming 50 mg of caffeine (the amount found in a typical can of soda). Take a short break at least once every hour throughout the day and go for a brief walk. Try to get outside if you can. If that’s not possible, walk around indoors. Get back on track quickly. Try not to go more than 1-2 nights in a row with poor sleep. It is difficult enough to make up for even just one hour of lost sleep. You will experience problems (physically, mentally, and emotionally) when poor sleep becomes the norm for you. When you experience lost sleep, make quality rest an even bigger priority the following night. Be especially careful about what you do right before bed. A peaceful bedtime ritual will ensure that you get quality sleep. A better sleeping environment also helps. If possible, you could also aim for an extra hour or so of sleep the next night. More than that can throw you off for upcoming nights though. Quality sleep is essential for feeling and performing your best- physically, mentally, and emotionally. Do everything you can to maintain a consistent sleeping schedule and to get 7-8 hours of quality sleep each night. Lost sleep is a serious issue. In the short-term, it causes fatigue, irritability, and difficulty concentrating. Over the long-term, it can lead to weight gain, cognitive decline, diabetes, various cancers, and even early death. You can click here for a free assessment that measures your habits in four areas that impact how you feel and perform each day. The assessment takes less than 3 minutes, and you get your results immediately. You’ll also get 3 free videos (sent to you over the next week) on how to break bad habits and make good ones last. About the author: Pete Leibman is a consultant, speaker, and author who helps leaders and companies thrive. He is the creator of StrongerHabits.com and he’s the bestselling author of Work Stronger; Habits for More Energy, Less Stress, and Higher Performance at Work. Before writing Work Stronger, Pete worked as an executive recruiter at Heidrick & Struggles, a leadership advisory firm who serves the majority of the Fortune 500. In his free time, he teaches one of the largest group exercise classes in the Washington, D.C. area. He has also competed in the Obstacle Course Racing (OCR) World Championships. Kitamura, S. et al. Estimating individual optimal sleep duration and potential sleep debt. Rep.6, 35812; doi: 10.1038/srep35812 (2016). Jamie Ducharme, “Can You Really Catch Up on Lost Sleep? 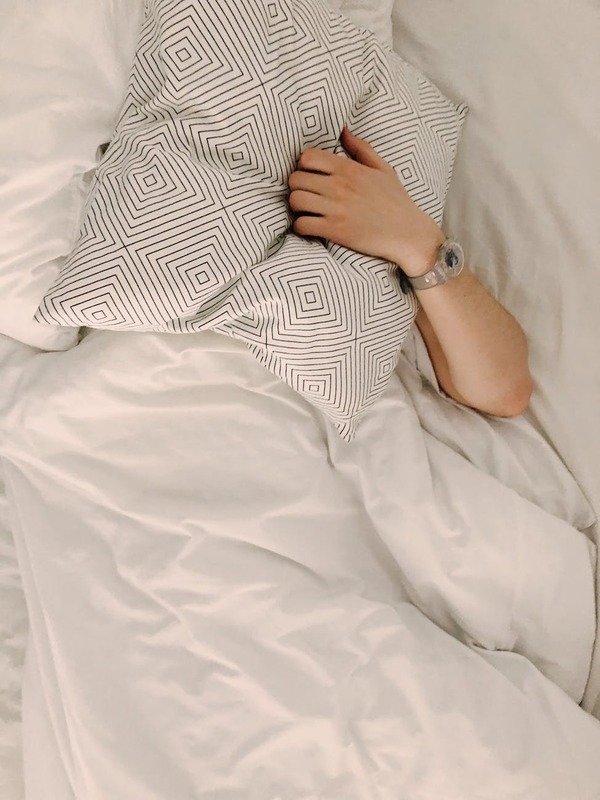 Here’s What the Science Says.” Time, March 4, 2019, http://time.com/5541101/how-to-catch-up-on-sleep/. “Should You Nap?,” National Sleep Foundation, https://www.sleepfoundation.org/insomnia/treatment/should-you-nap. Ana Sandoiu, “Sleep Deprivation May Cause Dehydration,” Medical News Today, November 7, 2018, https://www.medicalnewstoday.com/articles/323595.php.